Styx of Stroud first performed in public in Autumn 2013, and have never looked back. Since then we’ve appeared all over the place, up and down the country and even over the water (OK, on the Isle of Wight). Folk festivals, fundraising fetes, dance-outs with other sides, wassails, and (briefly – don’t blink!) in BBC TV’s adaptation of J.K. Rowling’s novel The Casual Vacancy. We’re a rum bunch of different people, from writers and designers to coppers and caregivers; from grandparents to grandchildren, from chimney sweeps to actors, from those living on narrowboats to those trading in Bitcoin; all brought together by an inexplicable love for this dancing lark. At the moment, we number about thirty or so dancers and musicians, but are always ready to welcome newcomers. No previous experience is necessary to join as a dancer – all we ask is a basic sense of rhythm, a willingness to learn and a sense of humour. Our musicians bring accordion, banjo, fiddle, flute, mandolin, melodeon, saxophone and tin whistle to the party, and we have some very fine drummers – but the more music, the better – so come along and give us a tune! 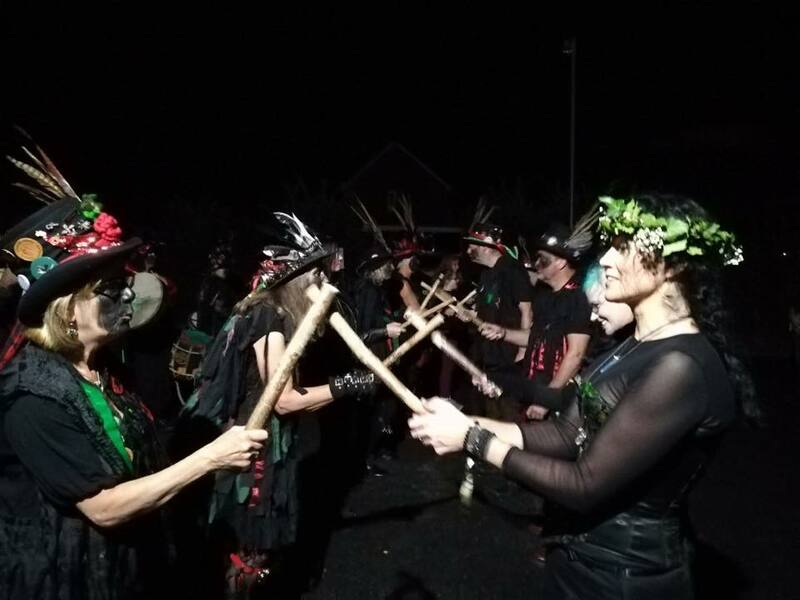 Styx of Stroud Border Morris is available for booking for fundraisers, weddings, festivals and days of dance. Use our Contact form to find out more.